Ministers meet executives from across the UK automotive industry to discuss the sector’s priorities for exiting the EU. Pictured left to right: Adrian Hallmark, Director of Strategy, Jaguar Land Rover; Mike Hawes, SMMT Chief Executive; David Davis, Secretary of State for Exiting the European Union; Rory Harvey, Chairman and MD, GM – Vauxhall UK; and Ian Howells, Senior Vice President, Honda Motor Group. 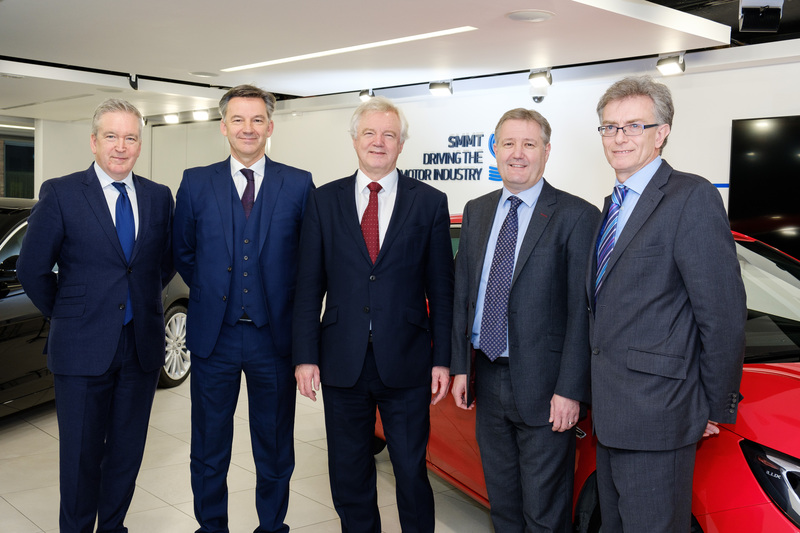 The Society of Motor Manufacturers and Traders (SMMT) hosted a roundtable discussion chaired by David Davis, Secretary of State for Exiting the European Union, on the future for the UK automotive sector following Brexit. The event took place at SMMT’s headquarters in London and was also attended by John Hayes, Minster of State, Department for Transport and Nick Hurd, Minister of State, Department for Business, Energy and Industrial Strategy. The British automotive sector is a UK success story, turning over £71.6 billion, employing more than 800,000 people and manufacturing more than 1.5 million cars and 2.4 million engines in 2015. So far in 2016 more than 2.5 million new cars have been registered for use on British roads, a record for the period, with buyers attracted by some of the safest, most fuel efficient and technologically advanced cars ever produced. With over 80% of our production going to more than 160 countries globally it is critical we secure unfettered single market access and unhindered trade opportunities worldwide. The industry is agile but long term investment and growth will depend heavily upon our ability to race competitively and to attract global talent within an economically stable environment. 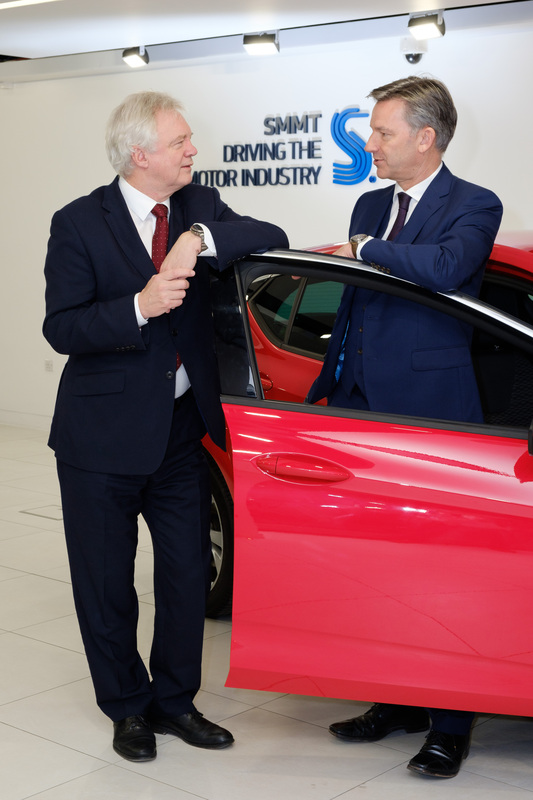 Mike Hawes, SMMT Chief Executive (right) and David Davis, Secretary of State for Exiting the European Union (left), speak ahead of a meeting with executives from across the UK automotive industry to discuss the sector’s priorities for exiting the EU.